Being bullied is a traumatic event that impacts the victims in ways many people do not understand. From intense emotions and upset stomachs to negative thoughts and stress, the effects of bullying run the gamut. Here are seven truths about being bullied that only victims of bullying understand. “Bullying messes with your mind.” Being bullied manipulates a victim’s thoughts. In fact, many times victims of bullying will start to believe all the negative things that the bully says. They also falsely believe that everyone thinks the same horrible things about them that bully does. Soon the bully’s negative words become reality for them, and they start to believe the negative messages too. This impacts the victims’ sense of identity and their self-esteem. “The emotions bullying stirs up are not overreactions.” The emotions that victims of bullying experience, including fear, anxiety, and stress are not in their head. These feelings and emotions are real. And, they have very real consequences. Unfortunately, though, many people do not understand the effects of bullying and continually question the validity of a victim’s reactions. They falsely assume that a victim is making a bigger deal out of the situation than it really is. “Bullying really can make you physically ill.” The effects of bullying can manifest itself in a multitude of physical symptoms. Kids who have been victimized often complain of stomachaches and headaches. They also may suffer from depression, anxiety and even thoughts of suicide. 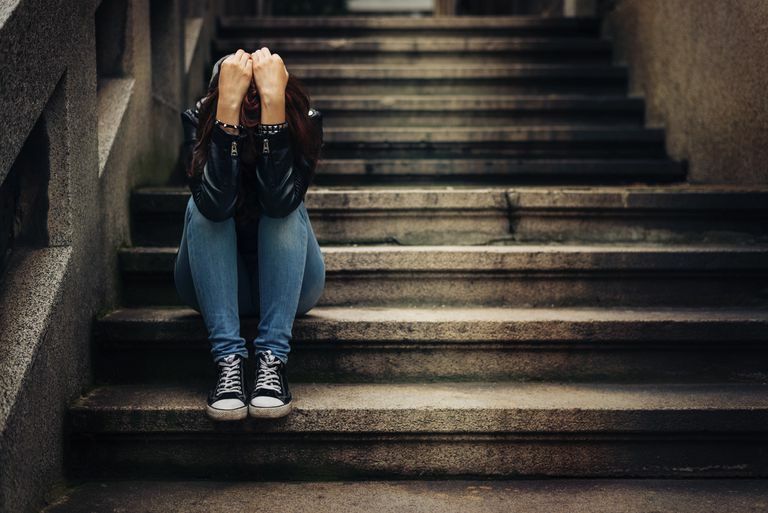 Meanwhile, the chronic stress that bullying causes can lead to everything from dizziness and muscle aches, to rapid breathing, rapid heart rates, and nausea. And it is not uncommon for victims of bullying to struggle with self-harm and eating disorders. “Telling someone that bullying isn’t a big deal or to just get over it, is not helpful.” It is never helpful to tell a victim of bullying that what they are experiencing is not a big deal or that they should relax or calm down. Instead, victims of bullying need to feel validated. They also need ideas on how to cope with and respond to the bullying. Be understanding and patient when dealing with a victim of bullying. “Being bullied can change you.” Being bullied saps the life and the energy out of victims. Once happy kids become sullen and depressed. They are shells of the person they once were. This is why it is so important to never assume that bullying is not a big deal. Research shows that the effects of bullying can have a lasting impact. Bullying can even impact mental health far into adulthood. “Being bullied makes you feel powerless and alone.” There is nothing worse than being bullied. Even when surrounded by friends and family, a victim of bullying may feel very alone. Part of this is due to the powerlessness over the situation that the victim feels. Often, they have no idea how to put an end to their suffering. They also feel that other people are powerless to help them as well, especially when the bullying continues even after being reported. These facts just increase the victim’s sense of loneliness. “The kindness of one person can change everything.” Sometimes all it takes is for one person to smile at a victim or offer an encouraging word. This small act can create a sense of hope that the world is not all bad, that there is some good in the world. Be sure that you take the time to say hello or reach out to a victim of bullying. Your simple act of kindness can change everything for them. Do You Know These 11 Cold, Hard Facts About Friendship?